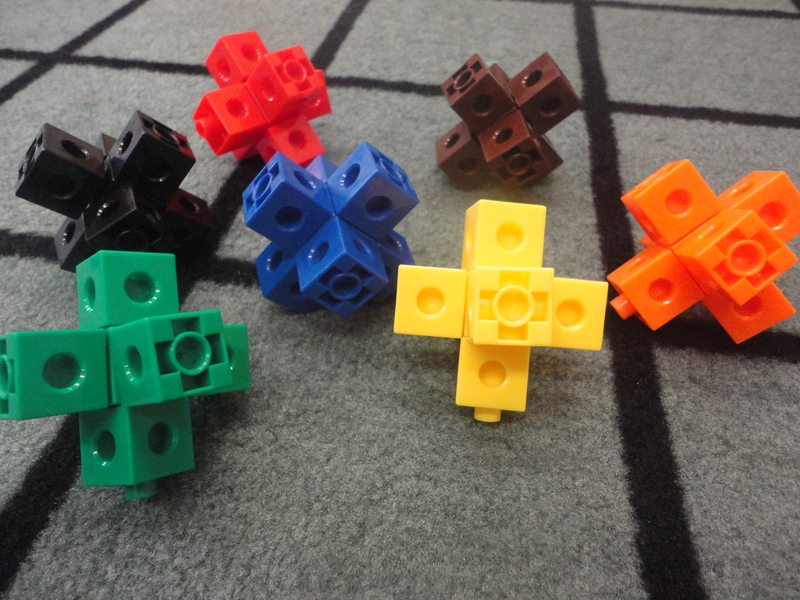 This entry was posted in Mathematics, Science and Technology, Writing in Kindergarten and tagged building in kindergarten, emergent curriculum, hands-on math, Lego inquiry kindergarten, snap cube workshop, snap cubes by msmcdonell. Bookmark the permalink. Snap cubes are also a hit in my ELP class. Some students like to pattern. 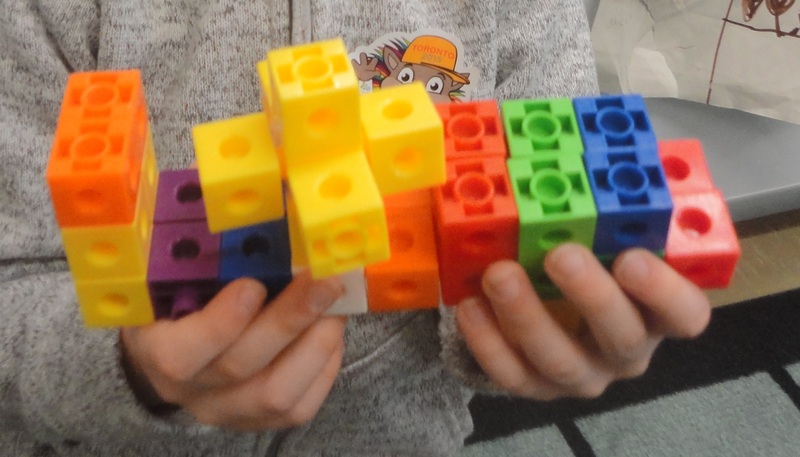 Some students like to build with them like Lego, but recently the snap cubes have been used to measure…perimeter around the room, around the carpet, around the block centre, around the cubby area, how many cubes long is the classroom, our restaurant table…you get it! I feel your pain. 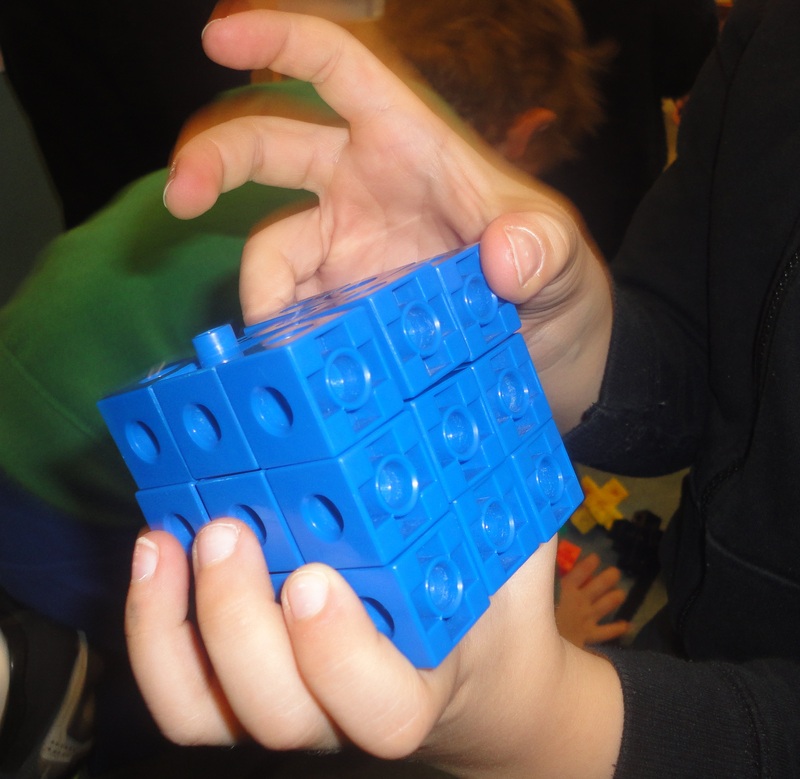 We tried to contain the cubes to a certain area, but found that it constricted their learning, so now they are from one end of the room to the other…literally!! !